In terms of academic qualifications, I have an accountancy and finance background with further specialization (MSc) in Finance and Risk Management and MSc in Professional Accountancy. Throughout my educational years, I have been a distinction holder. During my MSc degree in the UK, I had maintained my academic record. I can not only teach academic subjects but also assist research students in their research work as for the last ten years I am working on the dissertations as well as on the coursework for students. I am teaching for the last 10 years to students who are pursuing accounting and business studies as their career. I also helped students for modules like Human Resource, Project Management, Process Management, Research Methods, Marketing, Criminology, Business Simulation and e.t.c. I have done ACCA, CIA, CFE, CFC apart from this I am left with case study of ACA and done CFAB. I am doing job since 2008 and also has an experience of working as: Career Advisor Course Coordinator Teacher Assistant Accountant Tax Advisor Marketing supervisor for marketing campaign in PHILLIP MORRIS INT. I think for teaching one has to come to the level of a student and exam approach teaching is the best of all. I believe in quality of the lecture not the length of it. Firstly, the student needs have to be understood and then the tutoring phase can be carefully outlined. Questions will be encouraged throughout the session as these are important for higher level of understanding. I have experience of teaching all papers of ACCA even optional level. I have experience of teaching Corporate Finance to Master level students of Aston University. I have experience of teaching all the papers of Professional Stage Knowledge Module to ACA students. 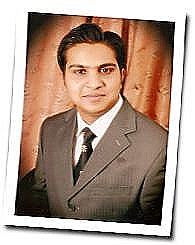 I have experience of teaching all the papers of Certified Accounting Technician (CAT). I also taught the undergraduate and Postgraduate students of Birmingham University, Aston University, Warwick University, Coventry University, Nottingham University, Nottingham Trent University, Birmingham City University, Sheffield University, Wolverhampton University, University of East Anglia, Hull University, Derby University, University of Glasgow and several others. I have experience of teaching AAT subjects to the students as well as all GCSE and A-Level students. I was also assisting students with assignments help they require. Regarding research work, I have conducted more than 1000 independent researches including dissertations. In addition, I have taught more than 500 students on individual basis.